This is gorgeous! LOVING the snowflake and the presents!!!!!!! Adorable! LOVE that tag and the stitching!! 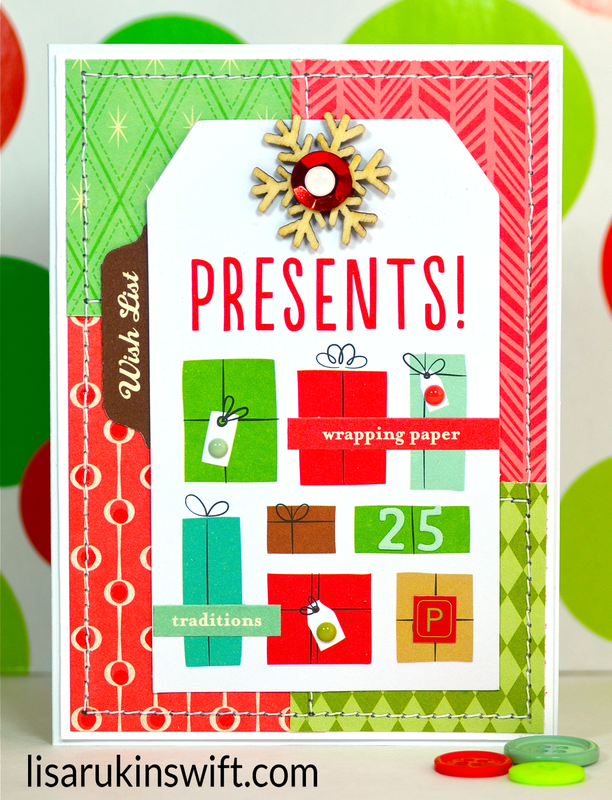 Love the fun grid pattern Lisa, and this is one of my favorite tags from the Be Merry collection!! Looks great on your card! What a fun card! I love the little enamel dots on the tags on the gifts!